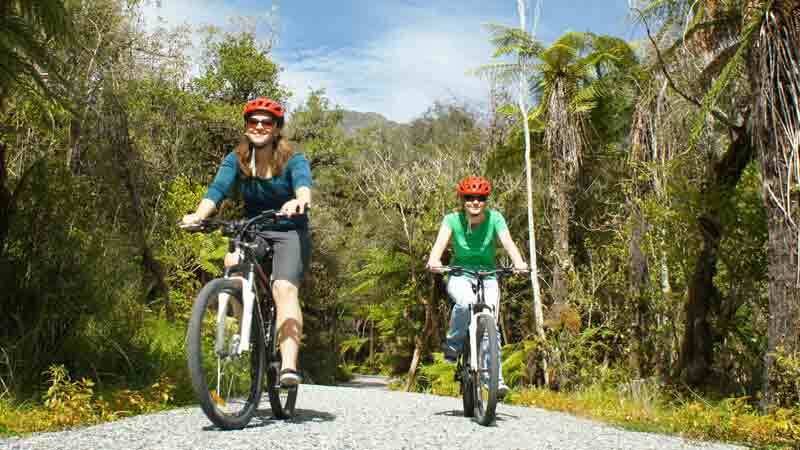 Walk or cycle through bush from Fox Glacier Township to the Fox Glacier car park. This is a shared-use track. 8.4 km return via same track. Walking 2 hrs 20 mins on an easy wide track through native bush. Mountain biking 1hr on an easy Grade 2 track. No dogs allowed. Track begins on the left hand side of SH6 south of the Bella Vista Motel on the main road of Fox Glacier Township. 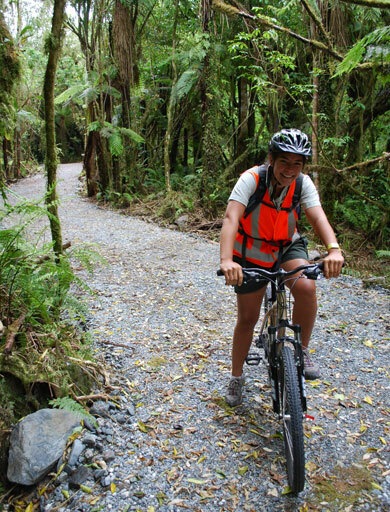 The track enters the forest and follows SH6 for 400m before turning east and heading into the Fox Glacier Valley. 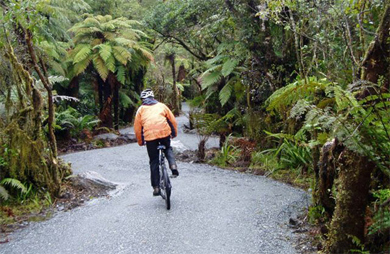 Along this first section of track the Minnehaha Track leaves and then re-joins Te Weheka Walkway/Cycleway. Take care at the intersections with the Minnehaha track - cyclists watch for walkers crossing! Where the track joins the Glacier Access Road for the second time, you can cross the road and after leaving your bikes at the car park you can visit the historic swing bridge crossing the Fox River. Cyclists must leave their bikes at the bike rack at the end of Te Weheka. There is no bike access on any other tracks in the area.